As a pastor’s daughter, I identified strongly with Lisa Takeuchi Cullen’s book Pastors’ Wives. I understand the dilemmas of living in a pastor’s household, beginning with the sense of not fitting in anywhere. So, admittedly I begin reading this story with an agenda. 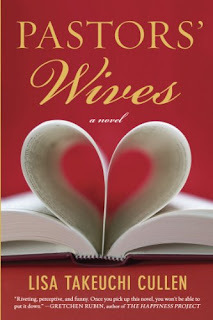 Pastors’ Wives is about life in an American mega church, specifically from the perspective of three of the pastors’ wives. Up front, I must say that this is a good story. However, it did continually raise different emotions and really made me ponder over the issues that were raised by Cullen. I have never belonged to a mega church – and to be honest, I do not think that I want to. The first thing that set me up to question was the extravagance. I’ve heard the argument that God deserves the best; but is it really necessary to fulfill the ministry of a church by commissioning a duplicate of the stunning chandelier in the Metropolitan Opera house to be the North Star in the mega church Christmas extravaganza? Or have a professional quality worship team complete with smoke machines? Would mega churches be possible if they operated on low budgets, using the money brought in to further the gospel message and reach out to needy people? I honestly do not know; but the profligacy bothers me. The part that struck a chord with me – why should pastors’ families be so far down the list of priorities? There are three wives. Candace is the wife of the senior pastor and in her younger days when she had two small boys was angry at the demands put on her husband. Now with her children grown, she has a well furnished and decorated office at the church and is instrumental in making decisions at the church. She seems to have no empathy for the younger wives. Perhaps, going back to her past would be painful for her and raise questions about her whole belief system. Ruthie was new, her husband recently hired. She is talented and is drawn in as an unpaid employee and begins to question the fact that her husband is always busy and rarely home. Ginger is Candace’s daughter-in-law and has a tarnished past. For all purposes, she was a single parent and my heart went out to her. I was thrilled that Ruthie and Ginger were able to affect change that was positive for themselves and for their families. None of the main characters are evil. Cullen seems to have insight into how the system works. She shows clearly that this is a culture that damages ministerial marriages and families. 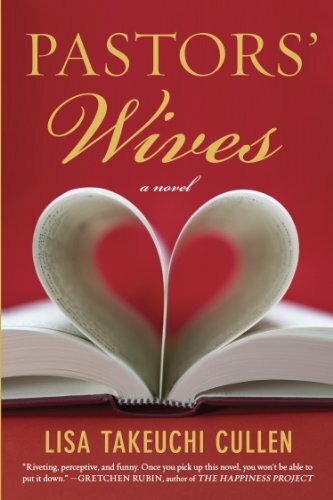 Pastors’ Wives is a good story; but there are parts of the book that evangelical Christians may not agree with. Anyone interested in how mega churches really work will find the book fascinating. Cullen does an excellent job developing the characters of the pastor’s wives, from super-perfect Candace, to free spirit Ruthie, and to insecure Ginger. 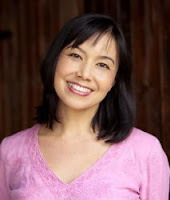 Find out more about Lisa at http://lisacullen.com.